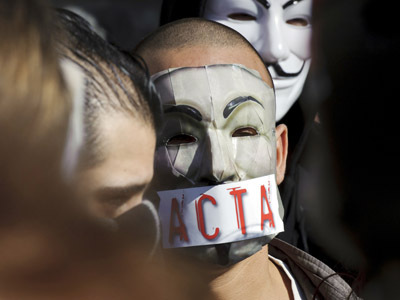 Lawmakers in Holland have voted to strike down the international Anti-Counterfeiting Trade Agreement (ACTA), slammed by many as a free speech and information access choker. Dutch MPs have also ruled the government will never sign any such agreement. 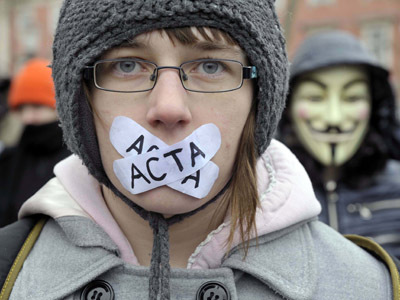 The Dutch parliamentarians have opted not to wait for the EU’s vote on ACTA which is set for June, with consultations kicking off already this Thursday. "The treaty should be taken off table, whatever the decision the European Parliament should take," said MP Kees Verhoeven, a major sponsor of Tuesday’s motion in the Dutch Parliament. Lisa Neves Goncalves, a spokeswoman for the Dutch Ministry of Economic Affairs, Agriculture and Innovation, said the government had earlier this year stated it would not sign off on the treaty until it was clear it did not breach the Dutch or EU constitution. As the controversial bill is making its slow way through the EU Parliament, the UK Pirate Party, the Open Rights Group (ORG) and the French La Quadrature Du Net are calling for more anti-bill rallies. 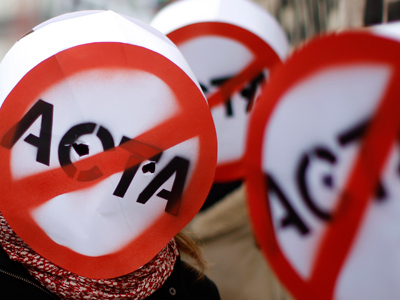 "The votes this Thursday, in three of the Committees responsible for offering 'Opinions' on the treaty, will really affect whether the European Parliament ultimately rejects ACTA or not. It is important that your MEP understand people's concerns. And calling your MEP will help make this happen," says the Open Rights Group in a blog post. 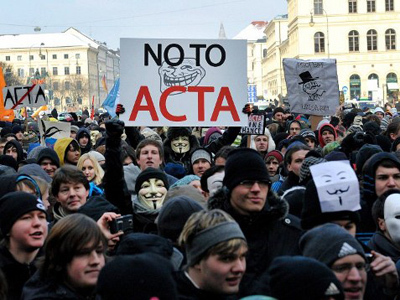 ACTA is an international agreement aimed at protecting intellectual property. 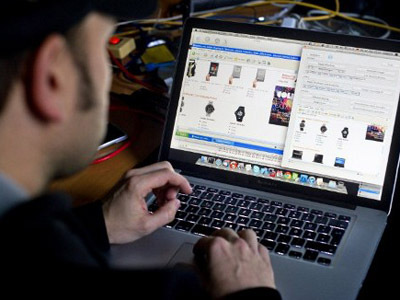 It somewhat resembles the US’s Stop Online Piracy Act (SOPA), which was shelved by lawmakers after protests. The European Union suspended efforts to ratify the treaty in February amid a storm of protest from activists who say the agreement would stifle free speech and access to information. Thousands demonstrated across the EU against giving big firms the power to ban people from using the Internet for illegally swapping files. Twenty-two countries in the bloc signed up to the agreement, with a vote on its ratification due this summer in Brussels. The US, most of the EU, Australia, Canada, Japan and several other countries have signed the ACTA treaty, but none of these signatories' parliaments have yet ratified it. This last step would make the agreement viable. As soon as ACTA is ratified by any six nations, the convention will come into force.